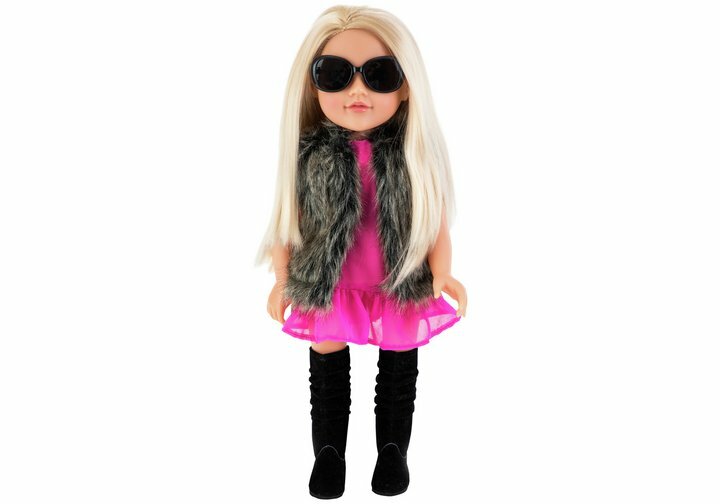 The Chad Valley Designafriend Winter Fashion Show Outfit includes a stylish black and brown faux-fur gilet, a pretty pink chiffon peplum dress, fetching suedette knee-high boots and for that extra bit of distinctiveness a pair of black sunglasses, which completes the ensemble. Includes a unique silver charm to be attached to the designafriend bracelet. Includes a unique silver charm to be attached to the Designafriend bracelet. Beautifully packaged in a boutique-style box with wrapping paper. Size H20.5, W11, D22cm. Get money off with April 2019 free Argos voucher codes, see if there's a discount code for the Chad Valley Designafriend Winter Fashion Show Outfit product.